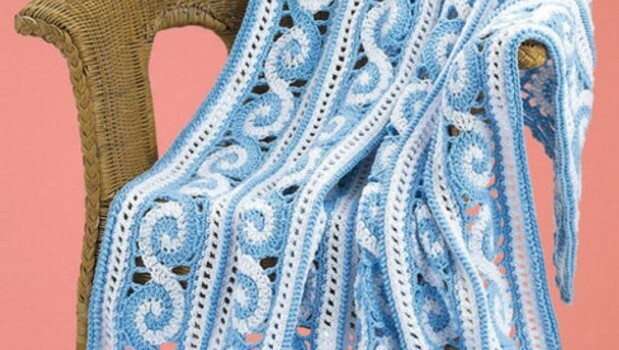 [Free Pattern] This Spiral Crochet Afghan Is Mesmerizing! Homepage » Free Crochet Patterns » [Free Pattern] This Spiral Crochet Afghan Is Mesmerizing! [Video Tutorial] Best Looking Kitchen Cloths ( Dishcloths) You’ll Ever Make! This two-color spirals afghan with a finished size: 62″x68″ requires some experience in crocheting. That means you’ll will need to know how to make the following stitches: Chain (ch); Double crochet (dc); Half double crochet (hdc); Reverse single crochet (Rev sc); Single crochet (sc). 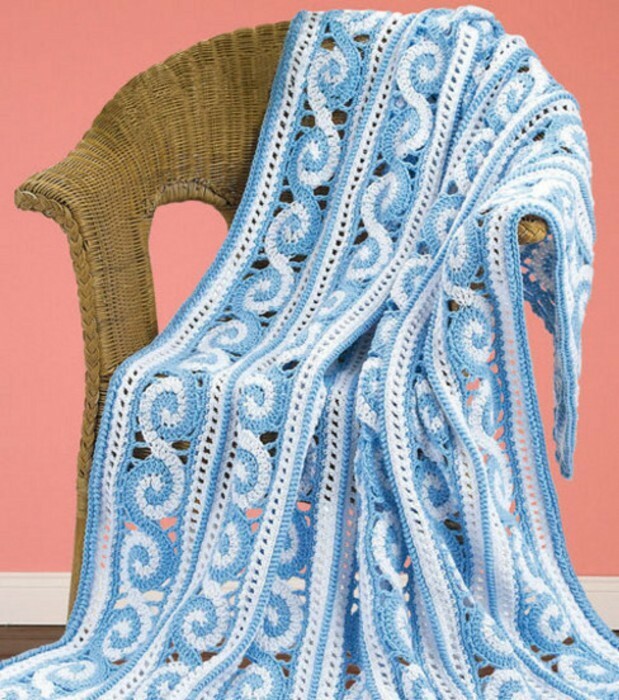 Adjust the size and this beautiful Spiral Crochet Afghan from Joann.com makes a perfect gift for any baby occasion. Two-Color Spirals are worked individually, then sewn into panels. Edging is worked around each panel, along sides of each panel, then panels are joined and final edging is worked. Thanks to joann.com for article inspiration and featured image. [Free Pattern] I Really Appreciate The Elegance This Morning Glory Square Pattern Displays! 28 Comments to [Free Pattern] This Spiral Crochet Afghan Is Mesmerizing! @[100001044135103:2048:Teresa Killman Reynolds] and @[100001019862827:2048:Shena Wece Tucker] isn’t this gorgeous? Love this one. lot of work. My nice loved it. @[1598238036:2048:Donna Lockhart McKinney] this is a pretty one!!! Didn’t look at.pattern..but looks like a mile a minute ..it is beautiful! @[100001298813307:2048:Alice Ann Colerick] we need to try this one! This is beautiful, and I love the colors. So beautiful, would love to try. I don’t see the pattern. Everything I click on takes me to ads.